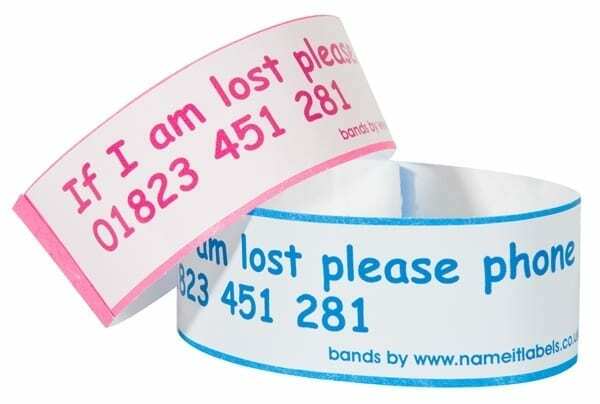 These single use children’s ID wristbands come with printed self adhesive labels which display the ”If I am lost” message and your emergency contact number. Available in pink or blue bands with white or clear labels. White labels come with pink or blue print to match the band colour, whilst clear labels have a discreet black print. Simply order your set of 10 below.